Papago Saguaro National Monument, Arizona: Established by presidential proclamation Jan. 31, 1914; transferred to state of Arizona by act of Congress Apr. 7, 1930. Sullys Hill National Park, North Dakota: Established by act of Congress Apr. 27, 1904; transferred to U.S. Dept. of Agriculture by act of Congress Mar. 3, 1931. Lewis and Clark Cavern National Monument, Montana: Established by presidential proclamation May 11, 1908; transferred to state of Montana by act of Congress Aug. 24, 1937. Chattanooga National Cemetery, Tennessee: Established under War Department by Army general order Dec. 25, 1863; transferred to NPS by presidential executive order effective Aug. 10, 1933; returned to War Department by act of Congress Dec. 7, 1944. Shasta Lake Recreation Area, California: NPS administration arranged by agreement with Bureau of Reclamation May 22, 1945; transferred to Forest Service by act of Congress effective July 1, 1948. Lake Texoma Recreation Area, Texas-Oklahoma: NPS administration arranged by agreement with Corps of Engineers Apr. 18, 1946; returned to Corps of Engineers by termination of agreement June 30, 1949. Father Millet Cross National Monument, New York: Established under War Department by presidential proclamation Sept. 5, 1925; transferred to NPS by presidential executive order effective Aug. 10, 1933; transferred to state of New York by act of Congress Sept.7, 1949. Wheeler National Monument, Colorado: Established under Forest Service by presidential proclamation Dec. 7, 1908; transferred to NPS by presidential executive order effective Aug. 10, 1933; returned to Forest Service by act of Congress Aug.3, 1950. Holy Cross National Monument, Colorado: Established under Forest Service by presidential proclamation May 11, 1929; transferred to NPS by presidential executive order effective Aug. 10, 1933; returned to Forest Service by act of Congress Aug.3, 1950. New Echota Marker, Georgia: Authorized under War Department by act of Congress May 28, 1930; transferred to NPS by presidential executive order effective Aug. 10, 1933; transferred to state of Georgia by act of Congress Sept.21, 1950. Atlanta Campaign National Historic Site, Georgia: Established by Secretary of the Interior's order Oct. 13, 1944; transferred to state of Georgia by act of Congress Sept.21, 1950. Shoshone Cavern National Monument, Wyoming: Established by presidential proclamation Sept. 21, 1909; transferred to Cody, Wyoming, by act of Congress May 17, 1954. Old Kasaan National Monument, Alaska: Established by presidential proclamation Oct. 25, 1916; transferred to Forest Service by act of Congress July 26, 1955. Castle Pinckney National Monument, South Carolina: Established under War Department by presidential proclamation Oct. 15, 1924; transferred to NPS by presidential executive order effective Aug.10, 1933; transferred to state of South Carolina following act of Congress declaring property surplus Mar. 29, 1956. Fossil Cycad National Monument, South Dakota: Established by presidential proclamation Oct. 21, 1922; transferred to Bureau of Land Management by act of Congress Aug. 1, 1956. Millerton Lake Recreation Area, California: NPS administration arranged by agreement with Bureau of Reclamation May 22, 1945; transferred to state of California by lease agreement Nov. 1, 1957. 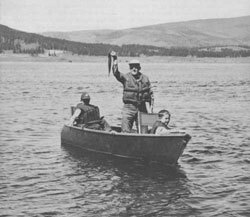 Flaming Gorge Recreation Area, Utah-Wyoming: NPS administration arranged by agreement with Bureau of Reclamation July 22, 1963; transferred to Forest Service by act of Congress Oct. 1, 1968. St. Thomas National Historic Site, Virgin Islands: Established by Secretary of the Interior's order Dec. 24, 1960; transferred to Virgin Islands government by act of Congress Feb. 5, 1975. 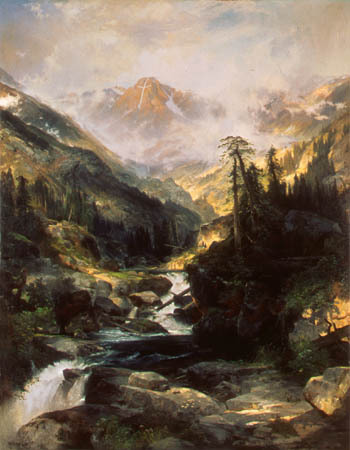 Shadow Mountain Recreation Area, Colorado: NPS administration arranged by agreement with Bureau of Reclamation June 27, 1952; transferred to Forest Service by act of Congress effective Mar.1, 1979. Mar-A-Lago National Historic Site, Florida: Designated by Secretary of the Interior's order Jan. 16, 1969; NPS administration authorized by act of Congress Oct.21, 1972; returned to Post Foundation by act of Congress Dec.23, 1980. National Visitor Center, Washington, DC: Authorized by act of Congress Mar. 12, 1968; transferred to Department of Transportation by act of Congress Dec. 29, 1981. John F. Kennedy Center for the Performing Arts, Washington, DC: NPS administration authorized by act of Congress June 16, 1972; transferred to Kennedy Center Trustees by act of Congress July 21, 1994. The NPS had a visible staff presence at only eight of the 23 areas. Five of these were reservoir recreation areas--Flaming Gorge, Shasta Lake, Lake Texoma, Millerton Lake, and Shadow Mountain--where NPS involvement resulted from agreements with the Bureau of Reclamation or the Corps of Engineers rather than specific acts of Congress. Because Congress had not mandated NPS involvement and because the NPS was not deeply committed to reservoir recreation management, the bureau willingly relinquished these areas to other agencies willing to accept them. Three of them went to the Forest Service because it already administered the surrounding lands and could more efficiently manage the reservoir recreation facilities. 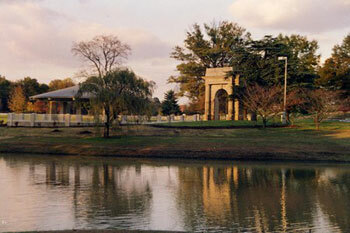 The sixth area that the NPS actively managed was Chattanooga National Cemetery. Inherited from the War Department in 1933 together with Chickamauga and Chattanooga National Military Park, the cemetery was returned to that department in 1944 because it was physically removed from the park and was still used for burials. The two other areas with a visible NPS presence were the National Visitor Center and the John F. Kennedy Center for the Performing Arts in Washington, DC--both atypical park units. In the first case, Congress determined that the visitor center concept had failed and that Washington's Union Station could better be redeveloped privately under Department of Transportation auspices. In the second case, Congress decided that the organization responsible for the center's performing arts functions could also assume the Service's responsibility for managing the building. Most of the other 15 areas were transferred because their significance was marginal and/or they did not lend themselves well to park development and use. Two national monuments inherited from the War Department in 1933 exemplified both shortcomings: Castle Pinckney paled in comparison with another island fortification in Charleston Harbor, Fort Sumter; and Father Millet Cross featured only a stone cross erected by the Knights of Columbus in 1926. Verendrye National Monument was found to have no historical connection with the French explorer for whom it was named. 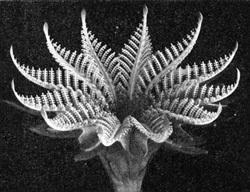 Fossil Cycad National Monument later disclosed few of the fossils for which it had been proclaimed. Old Kasaan National Monument was inaccessible to the public, and the totem poles that were its primary feature were ultimately removed to a museum. Sullys Hill National Park lacked notable natural qualities worthy of its designation and became a game preserve under the Agriculture Department. The most recent divestiture before the Kennedy Center and National Visitor Center, Mar-A-Lago National Historic Site, was never opened to the public and could not be maintained with the endowment left by Marjorie Merriweather Post for that purpose. It is noteworthy that six of the 23 areas--more than a quarter--had been established under Agriculture or War department auspices before being transferred to the NPS by executive order in 1933 and thus had not been subject to prior NPS evaluation. Except for two of the reservoir areas, all of the areas were divested from the National Park System by acts of Congress. The NPS normally took the initiative in recommending the transfers and drafted the legislation. Areas in public use under NPS custody remained in public use with no significant reductions in services under their new custodians. Both the NPS and the receiving parties supported the transfers. There was no significant public or political opposition to the transfers. None of the divested areas would meet current NPS standards for inclusion in the National Park System. 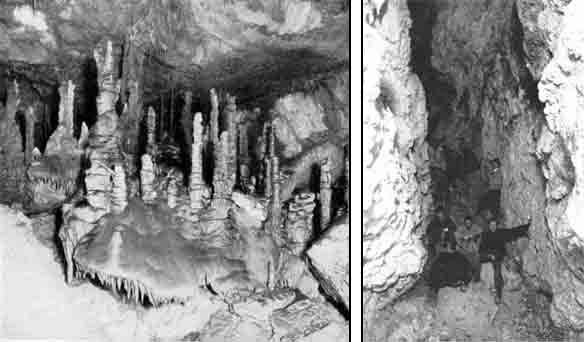 Information regarding Fossil Cycad, Lewis and Clark Cavern, Shoshone Cavern, and Verendrye can be obtained by reading the 1930 issue of Glimpses of National Monuments, as well as additional information on these and other National Monuments by reading the 1913, 1914, 1915 Report on Sullys Hill Park, Casa Grande Ruin; The Muir Woods, Petrified Forest, and Other National Monuments, Including List of Bird Reserves.